The Department of Operational Support is currently led by Under-Secretary-General Mr. Atul Khare. The Department has three Assistant-Secretary Generals: Ms. Lisa M. Buttenheim for Support Operations, Mr. Christian Saunders for Supply Chain Management, and Ms. Atefeh Riazi for Information and Communications Technology. All had long senior careers with the United Nations and bring to their positions vast political and diplomatic experience. 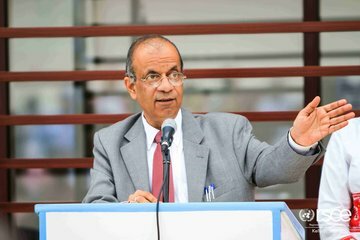 RSCE/Kelly StrunkUnder-Secretary-General Dr. Atul Khare delivered a town hall to the United Nations Entebbe Support Base (UNESB) in front of the Regional Training and Conference Centre, Entebbe. Mr. Atul Khare became the Under-Secretary-General for Operational Support on 1 Jan 2019. He was previously appointed Under-Secretary-General for Field Support on 2 March 2015. Mr. Khare brings to the position strategic management and innovative reform expertise in both headquarters and field perspective. Most recently, he co-chaired the Secretary-General’s internal review on Management Reform, one of his key change initiatives to improve the effectiveness of mandate delivery and to enhance transparency and accountability within the Organisation. Mr. Khare has had a long senior career with the United Nations. In 2010-11, he served as Assistant Secretary-General for Peacekeeping Operations and Deputy Head of the Department of Peacekeeping Operations in New York. He was later appointed as Assistant Secretary-General in the Change Management Team (2011-2012). Mr. Khare was previously Special Representative of the Secretary-General for Timor-Leste and Head of the United Nations Integrated Mission in Timor-Leste (UNMIT) at the level of Under-Secretary-General (2006-2009), working earlier as Chief of Staff and Deputy Special Representative of the Secretary-General with the United Nations Mission of Support in East Timor (UNMISET). Former Director of The Nehru Centre and Minister (Culture), High Commission of India in London (2005-2006), Mr. Khare served during his tenure with the Indian Foreign Service in its diplomatic missions in France, Mauritius, Senegal, Thailand and the United Kingdom as well as the Permanent Mission of India to the United Nations in New York. Mr. Khare holds bachelor’s degrees in Medicine and Surgery from the All India Institute of Medical Sciences as well as master’s degrees in Business Administration and Leadership from the University of Southern Queensland, Australia. UN Photo/Paulo FilguierasAssistant Secretary-Genral Lisa M. Buttenheim at a Security Council meeting at UN Headquarters in New York. Before assuming her current appointment as Assistant Secretary-General for Support Operations in the Department of Operational Support on 1 Jan 2019, Ms. Buttenheim was the Assistant Secretary-General in the Department of Field Support. Previously, she served as Secretary-General’s Special Representative and Head of the United Nations Peacekeeping Force in Cyprus (UNFICYP). 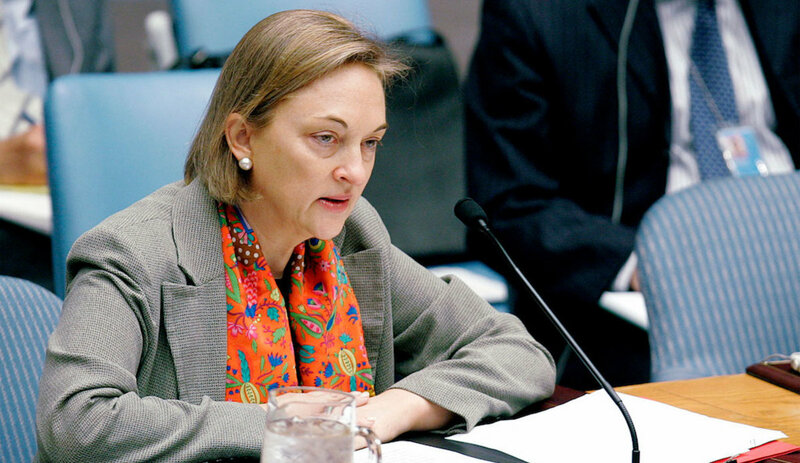 She brings to her current of position of Assistant Secretary-General more than 30 years of experience with the United Nations in political affairs and peacekeeping, both at Headquarters and in field operations. Ms. Buttenheim has held numerous senior-level positions, including Director of the Middle East and West Asia Division and Director of the Asia and Pacific Division in the Department of Political Affairs (2008-2010). She served as Director of the Asia and Middle East Division in the Department of Peacekeeping Operations (2004-2007) and as Director and Head of the United Nations Office in Belgrade (2003-2004). Since joining the United Nations in 1983, Ms. Buttenheim has served as Senior Political Adviser in the Office of the Director-General, United Nations Office at Geneva (1997-2003). She held assignments as Chief of Staff, Office of the Special Representative of the Secretary-General in the United Nations Interim Administration Mission in Kosovo, and as Director and Senior Adviser in the Office of the Special Envoy for the Balkans in Geneva. She also held positions in the Executive Office of the Secretary-General as well as the Office of the Under-Secretaries-General for Special Political Affairs in New York, and the United Nations Truce Supervision Organization in Jerusalem. Ms. Buttenheim holds a master’s degree in International Economics and Middle East Studies from the Johns Hopkins University School of Advanced International Studies, in Washington, D.C., and a bachelor’s degree in Political Science and English, from Stanford University in Palo Alto, California. Before taking on the position as Assistant Secretary-General for Supply Chain Management on 1 Jan 2019, Mr. Saunders served as Assistant Secretary-General for Central Support-Services in the Department of Management from 12 February 2018 to 31 December 2018. Mr. Saunders of the United Kingdom has over 30 years of experience in international affairs, much of it focusing on delivering results and overseeing major reforms leading to improved organizational effectiveness and efficiency. Since June 2013, he served as the Director of the Office of the Under Secretary-General for Management, where was is responsible for a wide range of issues, including coordinating duty of care for staff serving in countries affected by the Ebola virus and the deployment of the Organization's new ERP solution Umoja across UN Headquarters. Prior to this Mr. Saunders served as the Executive Officer for the Department of Safety and Security (2009-2013), the Chief of Coordination and Support Service in the Office of Information and Communications Technology (2005-2009) and as the Chief of the Procurement Service (2001-2005). Earlier in 2017, Mr. Saunders served as a member of the high-level task force established by the Secretary-General to develop a strategy to improve the organization’s approach to preventing and responding to sexual exploitation and abuse. 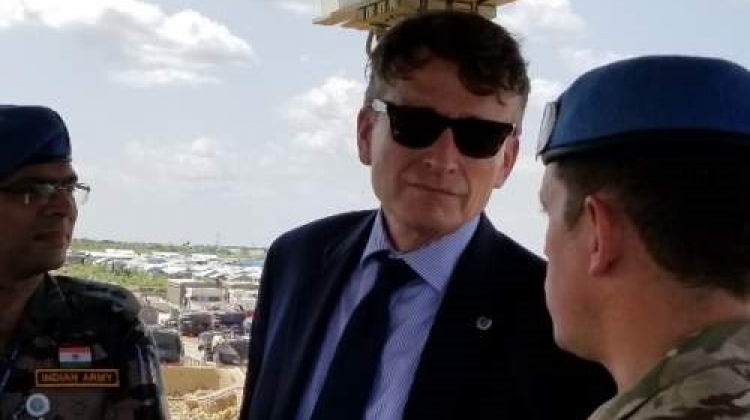 Mr. Saunders also has significant humanitarian and field experience, having begun his United Nations career in 1989 with the United Nations Relief and Works Agency for Palestine Refugees in the Near East (UNRWA) in Gaza. He also served in subsequent postings with UNRWA, the Office of the United Nations High Commissioner for Refugees (UNHCR), peacekeeping missions and the United Nations Population Fund (UNFPA). Mr. Saunders is a graduate of Royal Holloway College, University of London and the University of Wales in the United Kingdom. Born in 1961, he is married and has three children. 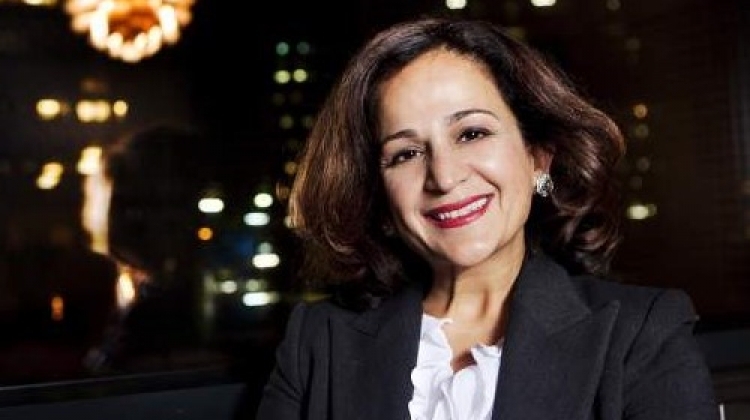 Ms. Atefeh Riazi, a United States national born in Iran, was appointed Chief Information Technology Officer and Assistant Secretary-General for Information and Communications Technology (OICT) in the Department of Operational Support and the Department of Management Strategy, Policy and Compliance on 1 Jan 2019. Beginning 9 May 2013, Ms. Riazi had served in this position within the Department of Management. Ms. Riazi brings with her wide-ranging experience in the public and private sector, with a focus on leading complex organizational change involving large departments in challenging environments to deliver vital business transformation through the use of innovation and technology.